Lots of roofs in Cape Coral, Fort Myers, and Naples have off-ridge vents. If you have this type of vent and want a solar attic fan, you are in luck! With this type of vent, the fan can be mounted inside the attic. Originally designed for the gable end of buildings, you don’t see the fan at all from the outside. 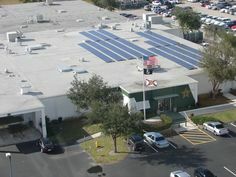 The only roof mounted component is a small solar electric (photovoltaic) panel. This 12V panel provides power to the fan whenever sunlight is available (i.e. when your attic is getting hot). 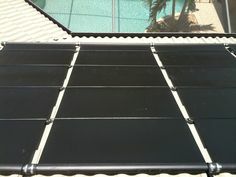 The solar panel can be mounted in a low profile to keep it discrete and aesthetically pleasing. It can also be pitched to improve orientation to the sun if placed on a roof that is not oriented to the south. While the regular attic fan is a low profile, good looking product, the gable attic fan installed under an off-ridge vent is a great alternative if your attic has this existing ventilation feature. I would like to have a solar attic fan,which I purchased, installed in the gable above my garage. 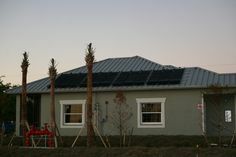 The solar panel to be installed on a soffit. Can you do this, and if so, how much? I will reply to you by email immediately. Gable fans are wonderful because we can often conceal the fan itself in the attic and just put the solar panel on the roof.